Isabel is 3 years old in her Cruella costume. I found 2 spotted hoodies, and sewed them together to make a long coat. Then I sewed the white trim around the cuffs, neck and lapelle. Her dress was a thrift shop pick up, and her shoes are spray painted tap shoes. 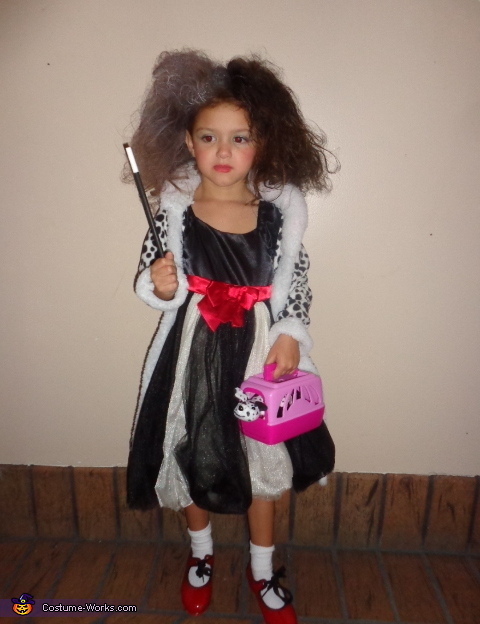 She absolutely LOVED being Cruella!